How Far Will State AG Go With Investigation Shenanigans? 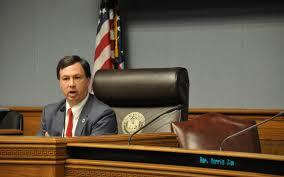 That Jeff Landry will attempt to exploit New Orleans Mayor Latoya Cantrell and the New Orleans City Council credit card policies for political gain is a given. How far he is willing to take it is the question. What started as typical campaign fodder is now the foundation of Landry’s making hay politically. The anti-New Orleans forces across Louisiana remain strong and virulent, and Landry’s political appetite is voracious. However, the situation in New Orleans may expose the Attorney General of the state of Louisiana as a misguided sycophant. During the mayoral campaign, the lashing Desiree Charbonnet campaign launched a series of attack ads at Cantrell. The most serious charged Cantrell used a city issued credit card for personal use. For political expediency, New Orleans DA Leon Cannizzaro, who usually has not seen a black person he won’t charge, passed the file onto Landry. 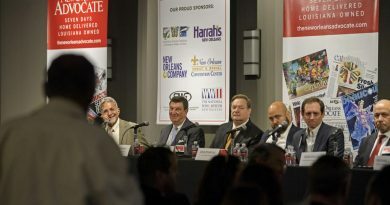 Despite claims of criminality during the campaign, the lax credit card policy of the City of New Orleans protects Cantrell. And recently the city council changed the policy to prevent future appearances of impropriety. With a full complement of real problems, our new mayor must not be distracted by petty politics. However, the ambitious Landry sees opportunity to combine base, vile racial messaging with old school Louisiana politics to advance his gubernatorial interests. Small parishes receive much less money from the state than the city of New Orleans. Though New Orleans contributes $1.85 for every dollar it receives in state funds, representatives from small parishes, that receive much of that excess .85 cents, state that New Orleans receives millions more than they do. Add in a few claims of corruption and high crime stats, and Bubba and Billy Bob in mid and north Loosiana, who ironically benefit directly from New Orleans created tax dollars, genuinely feel cheated and swindled by us crafty and “hug a thug” people in New Orleans. Landry can count votes across the state, and mid and north Loosianians combine with local Republicans in Metairie and St. Tammany to outnumber New Orleans and other urban voters. The joke about the AG is often he travels 20 miles to take a 5-mile trip cause Landry is so conservative his car only turns right. Landry is a small government, no new tax, locals control kinda’ guy. Yet Landry is wasting precious resources over an administrative issue that has been corrected. Last week the city council tightened the credit card policy, preventing the transactions performed not only by Cantrell but most other city council members. Landry is deceptively raising expectations of Looisianians statewide to secretly ingratiate himself with the state’s Republican establishment state all the while wasting tax dollars and ignoring real AG work. But Landry’s attempt to further besmirch the image of New Orleans is not without risk. Every time Landry issues a press release on the New Orleans credit card policy, Billy Bob’s implicit bias is triggered. Eventually Landry’s not delivering that huge corruption case will have people questioning his competency. What kind of self-respecting right-wing attorney general can’t even bring charges against the Black woman mayor of New Orleans? With all the jail space here in Looisiana, Landry’s promising but not delivering the first African American women mayor on corruption charges hurts Bubba like that Saints safety Marcus Williams missed tackle in the championship game. Privately Landry has said there are no charges to be brought. Meanwhile behind the scenes Landry continues to negotiate with major Republican elected officials in the state for their support of his gubernatorial bid. 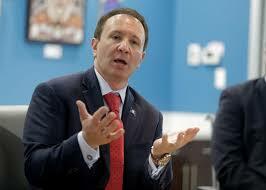 Until he has secured the support he deems necessary, Landry will continue his public zealot show. If he pushes too far, he might gain Steve Scalise and company but lose Bubba and Billy Bob. Mayor Cantrell was able to perform mightily during the election while those around her flailed their arms and gnashed their teeth. If she can run the city with an equally steady hand, we might accomplish the jobs program and poverty reduction the city needs so much. And like the Saints safety, Landry will have to live with his missed opportunity. Good analysis on the Cantrell/Landry thing. Unless the others on the council who did the same thing are to be held accountable, let’s move on, Loosianans, knowing that strengthened internal controls have addressed the situation.